Welcome home to the prestigious Beverly Hills sub of Royal Oak. This ranch-style home offers a great floor plan & fresh neutral decor. The gorgeous oak hardwood floors have recently been refinished. 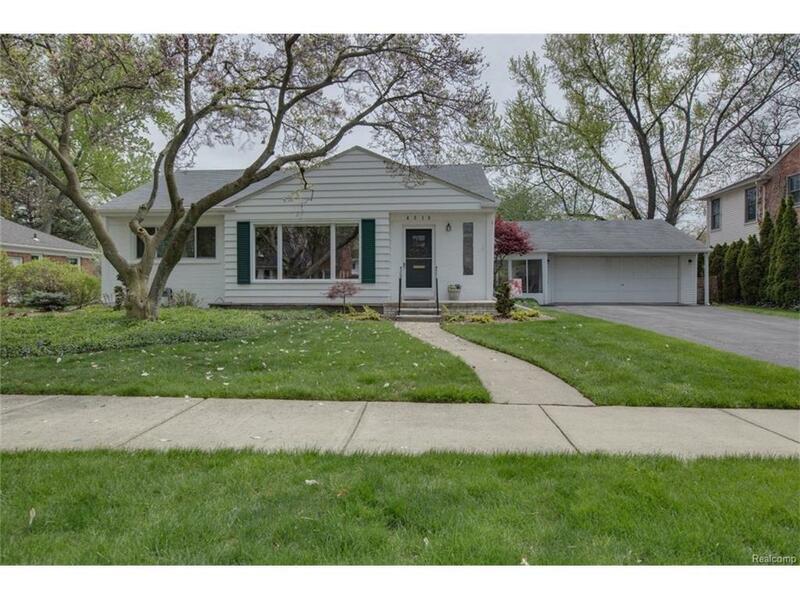 There are 3 bedrooms, 2 full baths, and a bright open family room, spacious finished breezeway, an attached 2 car garage (528 sq ft w/a bonus rear door), finished basement has rec room w/ bar, activities area, ornamental fireplace, laundry room, and full bath. All set on a beautiful double lot w/ extensive gardens & plantings. (over 1/4 acre) The orig ceramic tiled bath is in excellent condition, the kitchen comes with a full compliment of appliances. There is a wonderful city park right nearby. Outstanding in location, condition, & value. Make Home Here.